If Iran gets nuclear bomb, Saudi Arabia will follow suit, says Crown Prince – Royal Times of Nigeria. Saudi Arabia’s crown prince warns in a US television interview that if Tehran gets a nuclear weapon, his country will follow suit. He also likened the Iran’s leader to Hitler. 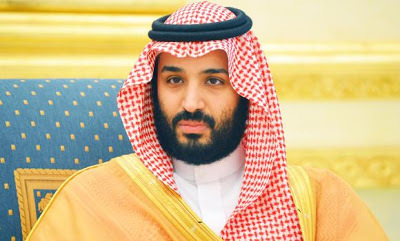 Saudi Crown Prince Mohammed bin Salman says in an excerpt of the interview that aired on CBS This Morning, “Saudi Arabia does not want to acquire any nuclear bomb, but without a doubt, if Iran developed a nuclear bomb, we will follow suit as soon as possible,”.